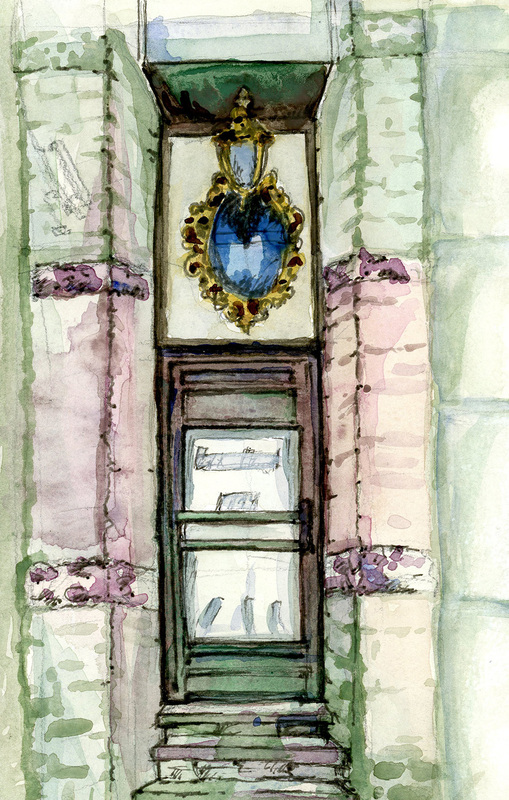 Here is the finished sketch of the Beethoven Hall entrance at 197 King Street East near my home in Old Town Toronto. Beethoven Hall was formerly an antique dealer and estate sales auction shop. Also known as "Anthenion Gallery." The shop shuttered its doors and cleared out inventory last fall, 2015. Near the end of its days it was also selling jewellery. It's funny how the actual sketch always looks more complex and interesting. This was the best digital version I could produce.